William Morrow & Company, 9780060590024, 480pp. 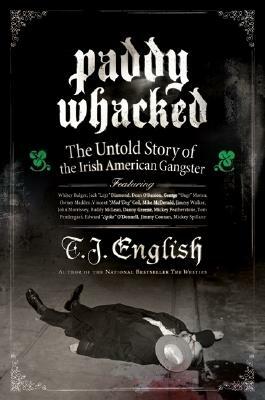 Here is the shocking true saga of the Irish American mob, from the mid-nineteenth century all the way to the present day. History shows that the heritage of the Irish American gangster was established in America long before that of the more widely portrayed Italian American mafioso, and has held strong through the modern age. In fact, the highest-ranking organized crime figure on the FBI's Ten Most Wanted List -- alongside Osama bin Laden -- is not a wiseguy, a Latin King, or a gangbanging Blood or Crip, but an old-style Irish American mob boss from South Boston. Combining storytelling verve with thorough research and a slew of never-before-published material -- including new interviews with former gang members -- English presents a riveting, seamless cultural history of the Irish American underworld. He offers a brilliant portrait of a people who fought tooth and nail for a better life from the moment they arrived in America, whether it meant taking charge within the realms of law enforcement and politics -- from Tammany Hall to the White House -- or capitalizing on what opportunities they could in the darker world beyond the law. Paddy Whacked is an irresistible tour of the undercarriage of our history -- a ride that stretches from the earliest New York and New Orleans street wars through decades of bootlegging scams, union strikes, gang wars, and FBI investigations ... and along the way deepens our understanding of the American experience.